New Wireless Network Lightsquared may affect GPS signals? You are here: Home / News / New Wireless Network Lightsquared may affect GPS signals? Millions of GPS units are sold around the world and direct people to their destination they intend to go. But maybe not so much in the future. Two basic technologies consumers depend on – high speed internet and global positioning devices are on a collision course as companies vie to upgrade connections. A new high-speed wireless network called Lightsquared 4G is being installed across the nation to upgrade internet connections but the signals could block GPS signals, cause them to lag and interrupt service, leaving GPS users lost. This could even affect aircraft which are flying by a GPS system. “The bigger conflict puts two of the most popular consumer technologies against each other: the growing wireless networks that power iPads and smartphones, vs. the network of GPS satellites that enable much of the same technology,” said Alan Levin, a technology writer for USA Today. 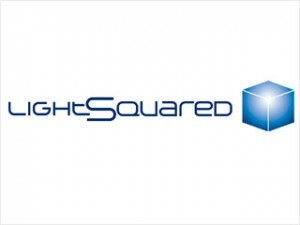 According to Leving, the Federal Communications Commission (FCC) wants the LightSquared Network to hook up 100 million customers by the end of 2012. At the same time the FAA – Federal Aviation Administration is raising concerns about the possible interruption to GPS systems. A cell tower has more than one transmitter to handle the calls and texts but more towers and more signals from internet services may interfere with established GPS signals. That could lead to serious problems for drivers and airlines, said the FAA. Although representatives from LightSquared say “it has filters that prevent its signal from interfering with GPS devices, others are not so sure. In fact, a group has formed calling itself “The Coalition to Save Our GPS” has formed to protect the GPS signals. A member will testify soon to the House Commerce Appropriations Subcommittee on the issue, said Levin. “The company has no interest in harming GPS because it is essential to the very smartphones on its networks,” said LightSquared’s executive vice president Jeff Carlisle. Levin reasoned that the FCC gave Lightsquared a go-ahead to start their network because of the amount of jobs it will create and to force more competition into the broadband services industry. I wish I could block to lag.